tribunal determined to execute her for supposed crimes committed during Voyager’s maiden trek through the Delta Quadrant. Captain Chakotay knows that the Kinara, several species now allied against the Full Circle fleet, are not all they appear to be. 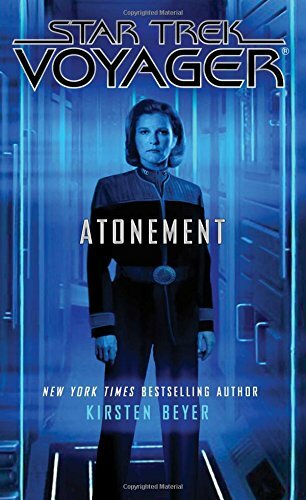 The Confederacy of the Worlds of the First Quadrant—a pact he cannot trust—is his only hope for unraveling the Kinara’s true agenda and rescuing Admiral Janeway. Meanwhile, Seven and Tom Paris are forced to betray the trust of their superiors in a desperate bid to reveal the lengths to which a fellow officer has gone in the name of protecting the Federation from the legendary Caeliar. ™, ®, & © 2015 CBS Studios, Inc. STAR TREK and related marks are trademarks of CBS Studios, Inc. All Rights Reserved.